4th Place in the WORLD! Congrats, team! You make Ellis proud! Now that "The Story of Language" is just a fond memory, we can get back to a normal worktime schedule. Please remember that your choice sheet is due this Friday. I ask that you complete at least three math and three science items. We will have a dress-down fundraiser to benefit the victims of the recent tornado outbreak in the midwest. Please bring in at least a dollar to participate on this Wednesday dress-down day. On Friday, we will have Field Day! I know you enjoy this special annual tradition. Please be sure to bring in your permission slip. Don't forget a lunch and appropriate clothes. This week starts the first week of our last parent teacher conferences for the year! If you need a new time, or forget when your's is scheduled, please contact me ASAP. I look forward to getting to talk to everyone and discussing the great things we have done this year. Finally, be on the lookout for some information about our "End of the Year Celebration" that will take place the last day of school. This is one of my favorite traditions we have in our classroom. Be thinking about who should receive the many superlatives to be awarded that day! Congratulations on a successful run of the musical "The Story of Language"! 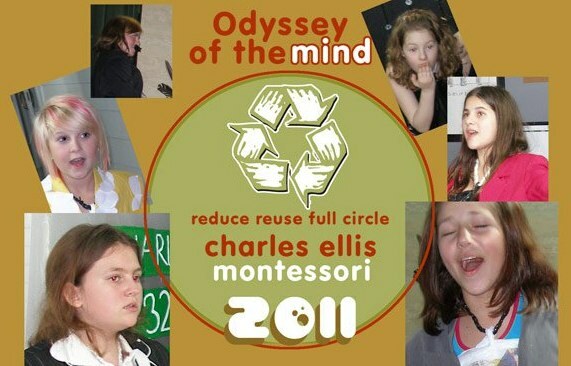 You have outdone yourself in creating a beautiful adaptation of the Montessori great lesson. I am so proud of you all! ...by this Thursday (May 26). Your AR goals for Ms. Carol's class are also due at this time. Please work hard to take care of these two items. 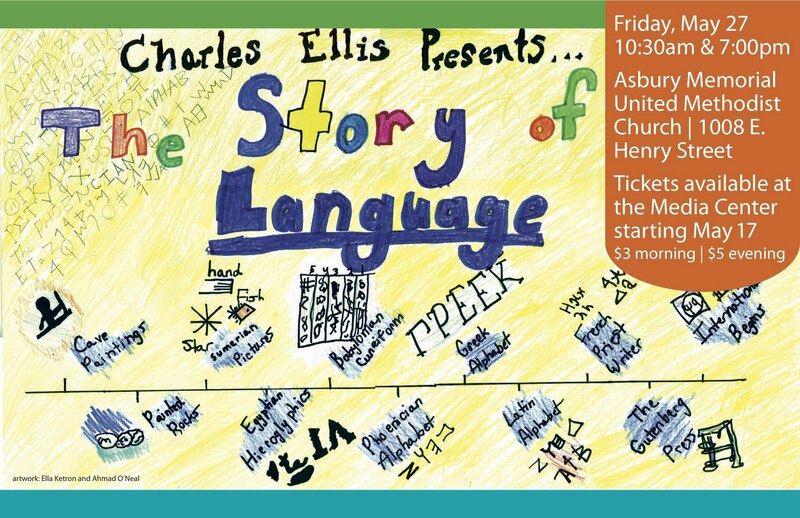 I can't believe our musical, The Story of Language" is this Friday! We will be spending a lot of time this week preparing for the show. On Friday, please be at Asbury Memorial United Methodist Church at 6:15 pm. Let me know if you need a ride. Remember, tickets are available in the media center ($3 for the 10:30 show and $5 for the 7:00 show). In addition, Mr. Brandon will stop by to talk more about marsh ecology, and you will get some time to work on your "Sail into Summer" choice sheet. Remember that your In2Books letters are due this Friday. I'm looking forward to a wonderful week! 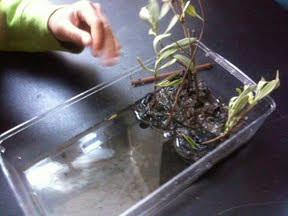 Mr. Brandon helped us make some model marshes today. How do changes to the marsh affect the infauna, epifauna, and nekton? Check out this great article about our winning OM team. Auditions for the narrator part of "The Story of Language" will take place this Friday at 2:30. Below is the script. It does NOT need to be memorized. (Sorry for the weird formatting...copy/paste is being uncooperative this morning). performance, so please stay seated at all times. 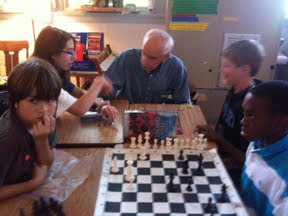 lessons as a spring-board to guide their educational choices in the classroom. create song lyrics, make costumes, and construct props to present this story to you. So, without further ado, letʼs begin the Story of Language! is believed that these marks were meant to be good luck charms. Please welcome Ms.
Carolʼs class as they share with you the story of these early drawings. class to tell you more about this part of the timeline. layer of beeʼs wax and used a sharp, metal stylus to scratch symbols on the board. tell you a little more about the Babylonians and the Phoenicians. arches and monuments, they introduced the most widely used alphabet in the world. educated. Priests and monks were to open schools in every cathedral and monastery. the Latin alphabet to a small (or lower case) alphabet which also took less time to write. 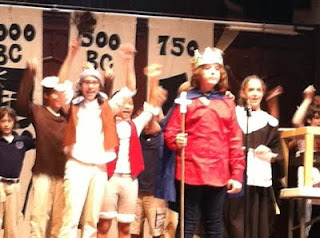 as they present the story of the French priest writers and the Gutenberg press. people communicate who may have trouble with traditional means of communication. Did you see the great article in the Savannah Morning News about our own Ms. Lynn?!? Check it out here. We are busy with preparations for our musical, The Story of Language. 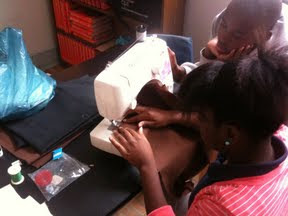 Here, Victoria and Treyvon work on a costume. Keep up the good work, everyone! CRCT testing is finally over and we can return to our "normal" procedures! Mr. Brandon will be here Monday to talk to you about marsh ecology. During worktime, we will be completing a choice menu that will help us start to put closure on our school year. Your menu will be due Friday, June 3rd. Be sure to look forward to Friday because it is another dress down day for $1.00 to benefit the OM team! If you haven't, you should...you may recognize some people on the site! Check it out at www.in2books.com. Congratulations to the following people for earning roles in the upcoming musical. It was REALLY hard casting the skits because everyone who tried out did a wonderful job! Remember, if you didn't get a speaking or acting role, you can still be on stage helping with props and singing our two songs. Priest 1 – Emma V.
Priest 2 – Zach S.
Priest 3 – Reggina C.
Servant 1 – Jamari K.
Servant 2 – Skyler W.
Servant 3 – Ryan M.
Clock Holder – Victoria J. Please start memorizing your parts now, we will begin rehearsal this week. If you need another copy of the script, you can find it on last week's blog posts. Please see the following letter from Ms. Jennifer and Ms. Gloria about "Ellis Has Talent". See me if you need a permission slip. It is that time again for Ellis Idol, but this year we are going to call it “Ellis Has Talent”, so we can include all types of acts. Last year’s competition was great! Performers, audience, Ms. Gloria and I all had a great time. We would love to repeat that again this year. This years Ellis Has Talent is scheduled for Wednesday, June 8th at 1:00. There will be 15 solo/group acts. 5 from each grade level 2nd – 8th. 2nd and 3rd, 4th and 5th, and 6th – 8th will be grouped together. Auditions will be held after the CRCT during the week of May 16th. Contestants will need to have permission from parents and their teachers to audition. The form attached must be turned in no later than May 12th, no exceptions. The title of the song and performers will need to be listed also. Once the students have signed up, they must audition and perform exactly what they sign up for. No substitutions, no exceptions! Students must provide their own music, and it must be school appropriate. If we feel that it is not school appropriate we have the right to censor it. Students must be ready for auditions, but they may use words for auditions. Their performance must be memorized by June 8th. Good morning! We are over half-way finished with CRCT's! We will have the science and social studies CRCT this week. Remember what we talked about with how to best prepare for the test: a restful sleep the night before, a good breakfast the day of, and an "I believe in myself" paptalk before the test! In addition to testing, we will be exploring patterns and geometric shapes with a lesson on tessellations. Here is a great website showing examples of tessellations and some methods of creating some of your own. I'm sure we will have some tessellation creations in our classroom that would impress Escher himself! This Friday will be another dress-down fundraiser for the OM Team. Please bring in a dollar to participate. The PTA Spring Fling will also take place this Friday at 4:00 in Hull Park. I hope you can come and join in the fun! *Tickets will be sold in the Ellis Media Center starting May, 17th. Little boy: (to the first servant) may I speak to the king. Charlemagne: (directly addresses the boy) what is it? Little boy: Can I seek advice from you? Little boy: I am writing my name on a piece of parchment to show my deaf neighbor who I am. Charlemagne: And what is your name? Little boy: PJ….how do you spell that? Charlemagne: Oh my. (Sighs and props up his forehead with his hand.) You are telling me you don’t know how to spell PJ!?! Charlemagne: It is a sad day in my kingdom when a child can’t even spell his name. How are we to be the most powerful kingdom if my subjects are so stupid! Something must be done. I hereby declare that all children must be educated. (He slaps his hand on the table.) You three! (He indicates to three priests, each with a scroll and a quill. )Let all the priests and monks know that I want them to open schools in all the cathedrals and monasteries. Priest: With all due respect might king, it will take forever for our Priests to copy enough books for all the children in the land to use at school. They will be working 24 hours a day to get the books completed! Charlemagne: I am the king! What I say is law. Tell the priests to dust off their quills and get to writing! Priests (all): As you say, king. Priests walk off stage looking sad and worried. Gutenberg: (to himself) Wow, trying to get this printing press done is a lot harder than I thought it was going to be! Whenever I think I have it figured out, something goes wrong. Apprentice: (walks into the workshop) Johann, you’ve been working on that crazy contraption for such a long time. Take a break from it for while. Gutenberg: No, I think I’m just about to finish it! This invention could be revolutionary. Up until now, people have depended on their own two hands to copy book and other written material. With the help of this machine, copies of books can be made much more quickly and with little effort. I just need a little more time! Apprentice: Ok, Johann. Don’t work too hard, I don’t want you to overwhelm yourself. Gutenberg: Ug, maybe making this machine isn’t a good idea. I don’t think I will ever figure this out. Well, maybe I should take a little break. (Gutenberg goes and sits in a chair stage right and falls asleep with a big yawn. The French Priest Writers from scene 1 appear on stage surrounding Gutenburg in his dream). Priest 1: Gutenberg, keep trying! Your amazing machine will one day be a reality! Priest 2: Gutenberg, trying to copy all of those books by hand was painful and took forever! Finish the press, your invention could change the world! Priest 3: Think of all the books that could be created. Enough books for everyone in the world! All three French Priest Writers: You can do it! You can do it! (unison, getting louder and louder. Gutenberg is woken up from his noisy dream. The writers quickly run off stage). Gutenberg: What a crazy dream! Those French Priests sure had a lot of faith in me! I HAVE to finish this press! (Gutenberg runs to his press and continues to work. A cast member runs across stage with a big clock with spinning hands to show elapsed time). Gutenberg: (yelling) I’ve done it! I’ve done it! Friend: (Running back in) Gutenberg, what have you done?!? Gutenberg: I’ve finished my press! Let’s give it a try! (Gutenberg and Apprentice go to press and load it with paper, ink, and then run the press). Gutenberg: (holding up a sheet of paper) We’ve done it, the first page of the bible printed on a printing press. This is a historic moment! Apprentice: Congratulations, Mr. Gutenberg. Your printing press invention will forever change the world. Auditions for our classroom's skit for "The Story of Language" will take place on Monday, May 9th. Please come with two choices for what parts you would like to have. In addition, please memorize a line for your tryout. Remember, if you want to be Charlemange, you must be able to sing his part in our song. Good luck! Here are the lyrics of our song for the musical. You know the tune! C- Are you ready kids? C- I can't hear you! C- Oh! Who lives in a castle somewhere out in France? C- I want all the children to be educated! C- Priests, grab your quill pens and copy these books! S- King Charlemagne! King Charlemagne! King Charlemagne! King Charlemagne! King Char-la-magne! Are you ready for an exciting week? You've had literally hundreds of opportunities to share your knowledge this year in 6th grade. This week, you have yet another chance to "show what you know" by taking the CRCT. The best thing you can do to prepare for this test is to get good sleep, eat a healthy breakfast, and believe in yourself! In addition to testing, we will be sharing rest of our review lessons. We will also be spending a lot of time working on our "Story of Language" musical.